A walk down any of the garden paths in New Mexico’s lush and beautiful nurseries takes you into the fascinating world of plants. You’ll learn how to get your hands in the dirt and make things grow. If you have a green thumb or you’re looking to cultivate one, here are 10 of the best places in the state to unearth your inner gardener! For the best information on Zone 4 gardening, you’ll hit pay dirt here. This, the oldest and largest nursery in Northern New Mexico is the place for plants, shrubs, vine and trees. You’ll find just the right greenery to thrive in the unique conditions of this high mountain elevation, from annuals, perennials, grasses, vegetables, herbs, fruits and berries. Helping the landscaper or home gardener keep things alive is what keeps them growing. Zone 7 is hardy and so is this nursery. The weather in this area goes from freezing to super hot, so they stock plenty of plants that will flourish in the best and worst conditions. It’s a complete lawn and garden center with staff on hand that can talk irrigation, sprinklers, pavers and rock, plants and veggies, as well as a help with landscape design. From salvias to roses, zucchini to basil and trees to shrubs, you’ll find the perfect addition to your landscape. You can color your world in southwest style after a trip here. They specialize in drought tolerant plants and trees that will do well in the harsh desert climate. With garden experts on staff that have years of experience, you’ll get first-rate infor-mation on best soil practices, gardening tips, tool cleaning and safety and, of course, they’ll dish the dirt on wide-ranging assortment of plants and trees on-site. Full sun, partial shade, full shade. How do you know what to plant where? You go to a reputable nursery and ask. If you’re in the Alamogordo area, you go to J&L. They know how to find solutions to your landscaping issues and will customize any garden plan. With a great selection of native, drought tolerant plants, they can event create a xeriscape style of landscape, one that requires little or no water, a huge plus in the dry desert climate. Whether you’re in charge of your own home garden or a community park, you’ll find what you need here to keep things green. The motto here is, “If you’re not familiar with plants, you should be familiar with your nursery person.” Gardening words to live by. The nursery has flourished un-der the guidance of the Guthals for the last 70 years. And now, with both sons in the mix as certified Master Gardeners, the collective knowledge has blossomed. What you’ll find here is expertise on landscape design, pruning, lawns, xeriscape, ponds, sprinkler systems, indoor and outdoor pest control and the beautiful new plants and trees coming in every day. Family-owned and operated since 1952, this nursery is a Santa Fe fixture. There are two retail garden centers and a bulk organic soil yard. They grow perennials, annuals, herbs, vegetable starts, with a special focus on chile plants and heirloom open-pollinated tomatoes, in their greenhouses. 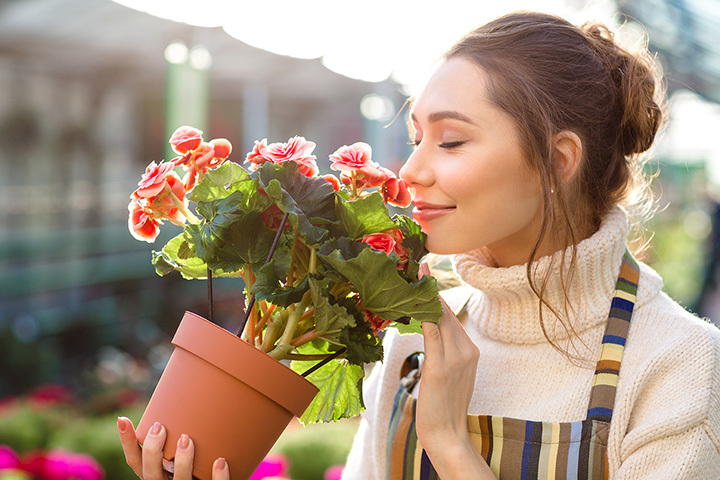 Additionally, they propagate seasonal blooming plants like poinsettias, Easter lilies, amaryllis, as well as have on-hand tropical houseplants and cacti and succulents. So much to see here—a great place to spend the day. Jericho, the city, is a fertile spot. So is Jericho, the nursery. Plants take tending and there couldn’t be two better tenders than owners, Rick and Jennifer and the family-like crew they’ve put together. You’ll find all the plants, trees and shrubs you might need to create a beautiful garden, plus special savings and sales throughout the week. Join the Shrub Club and get even greater savings on, well, shrubs. This is a beautiful place, full of color and joy, all having to do with plants. You can “grow wild” here. If you’re looking to cultivate a green thumb, grab a wagon at the entrance and fill it up with plants that you love, then go ask the ex-perts here about what will and won’t grow the New Mexican climate. You might have to put something back, but they’ll help you figure it out. So much to see and do: plants, trees and shrubs, of course, veggies and herbs, pots, cacti and succu-lents, lawn and sod products, gardening tools, soil and soil amendments, all on nine beautiful acres. It’s a destination. You’ll find the largest selection of xeriscape fruit and shade trees, flowering shrubs and native plants, and the best collection of roses in the state here. What is xeriscape: from the Greek, xeros meaning dry, and scape, meaning a kind of scene, that encompasses the selection of drought-tolerant plants that are slow-growing to conserve water. What better garden for a desert environment? There isn’t one, and there isn’t any better place to get what you need to create this water efficient garden. Selection includes New Mexico Olive tree, Velvet Mesquite tree, Apache plume and many sages and lavenders. There’s a sign here that says, “all gardeners live in beautiful places because they make them so.” The country girl who owns this nursery is indeed a gardener. She’s created a beautiful place filled with flowering plants, unique and distinctive yard art, burbling fountains and the equipment to make one and colorful pots just waiting to be filled. You’ll find what you need for pest control, soil amendments, seed propagation, the beginnings for a vegetable garden and someone with a lot of patience … which is what it takes for a successful garden.